This weekend we celebrated the Platinum Wedding Anniversary of Jack and Audrey Hunter. Jack joined the family business in 1938, joining his dad as an apprentice ticket writer. 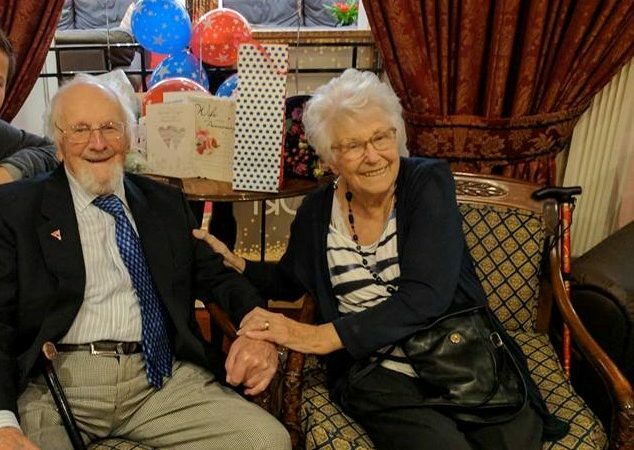 Jack and Audrey celebrated their big day with friends and family, including their daughter and four of their grandchildren who work within the family business. They had a fantastic day and were overwhelmed with all the good wishes they received, including one from the Queen! They celebrate this momentous occasion with the Queen and Prince Philip who were also married in 1947.